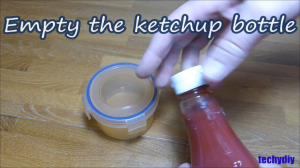 The first step is to empty the ketchup bottle. 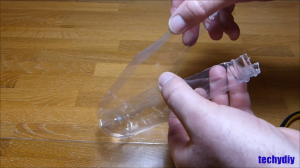 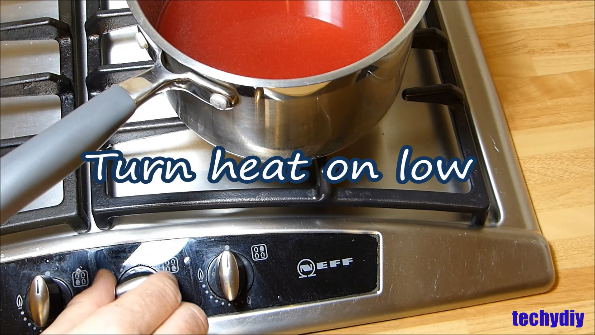 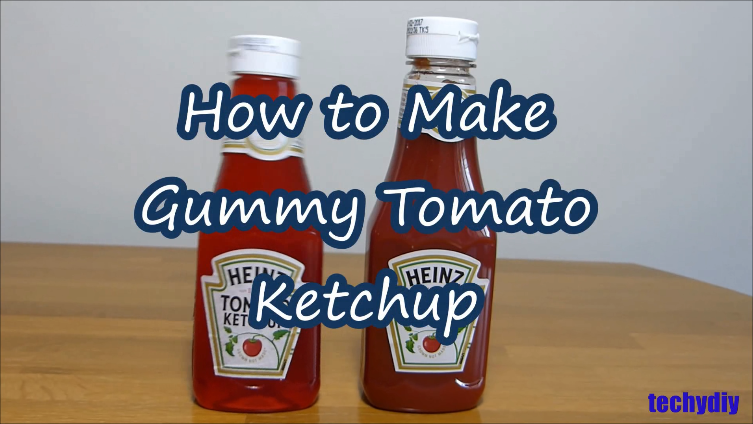 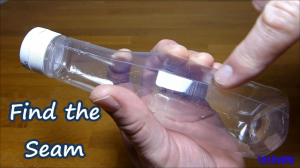 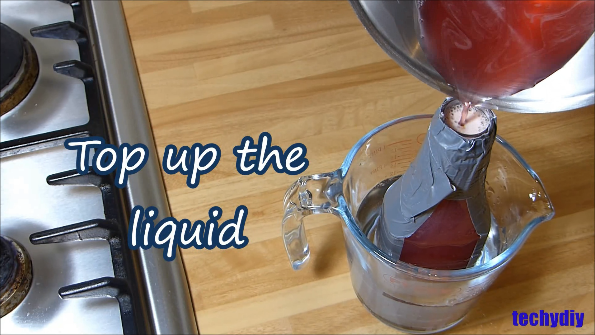 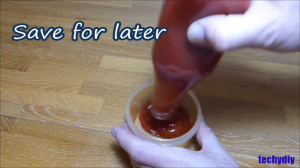 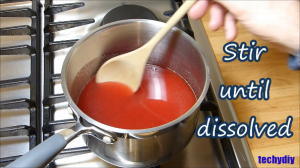 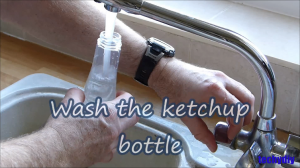 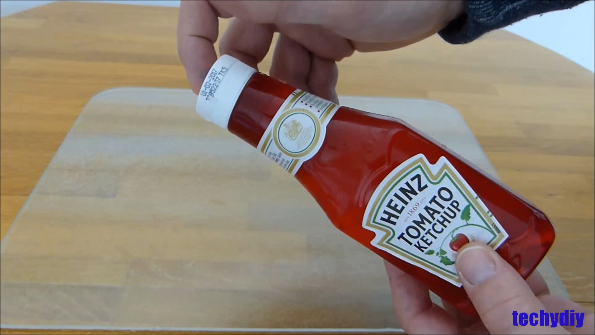 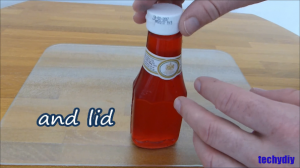 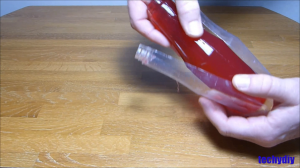 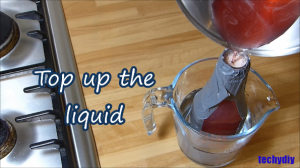 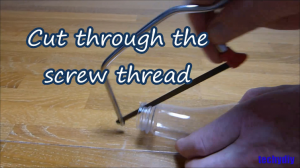 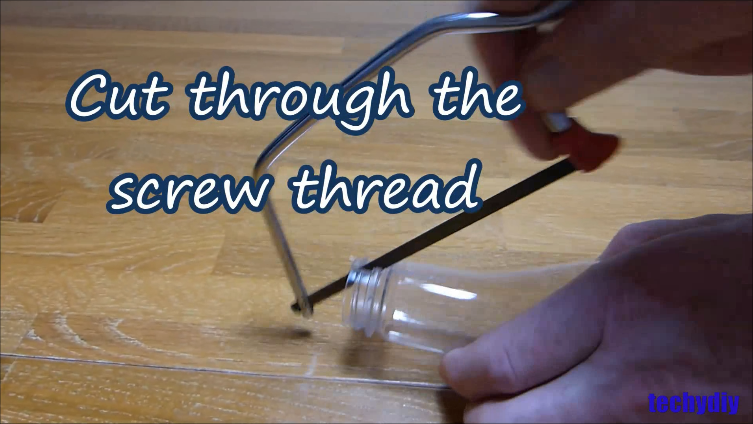 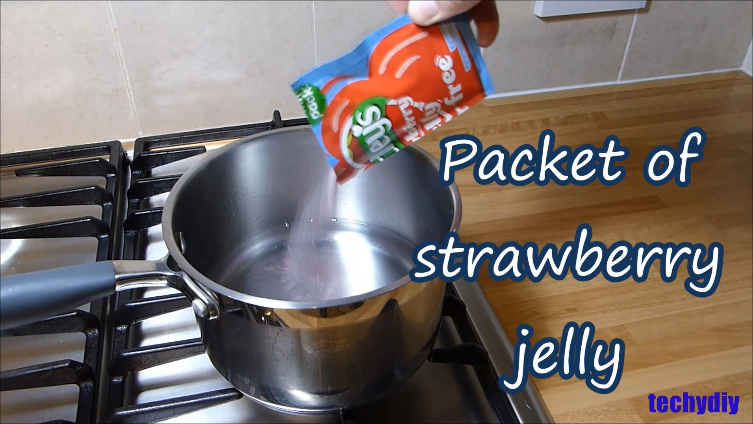 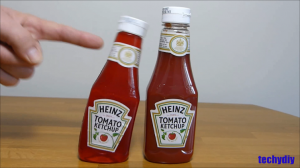 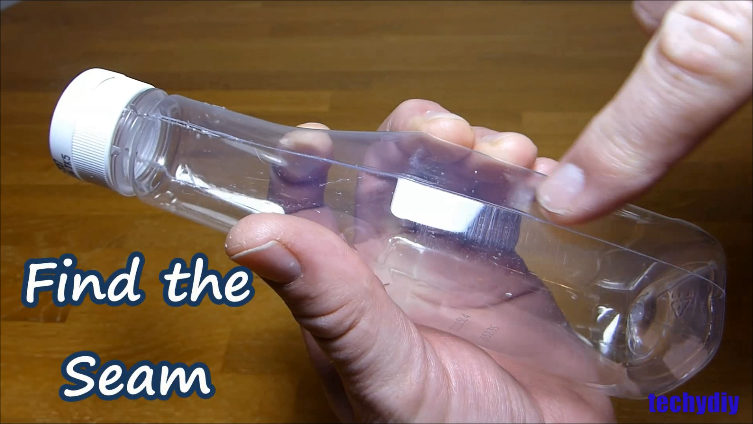 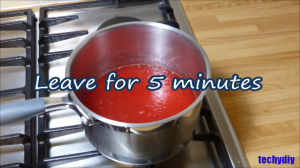 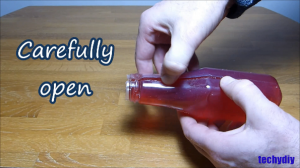 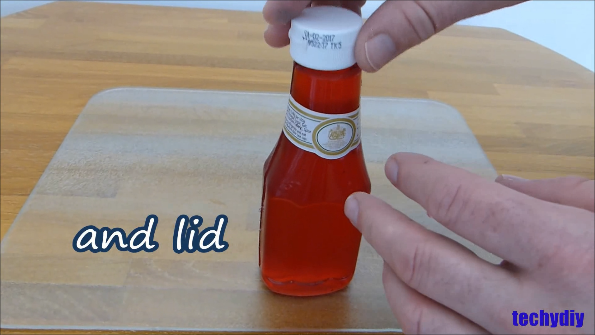 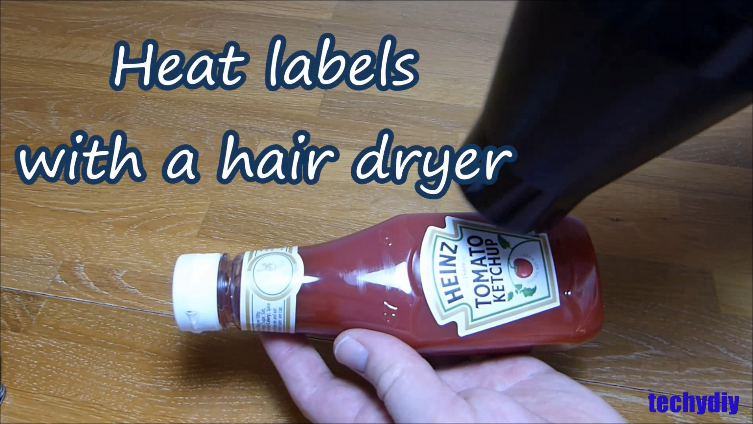 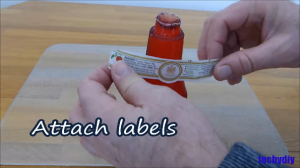 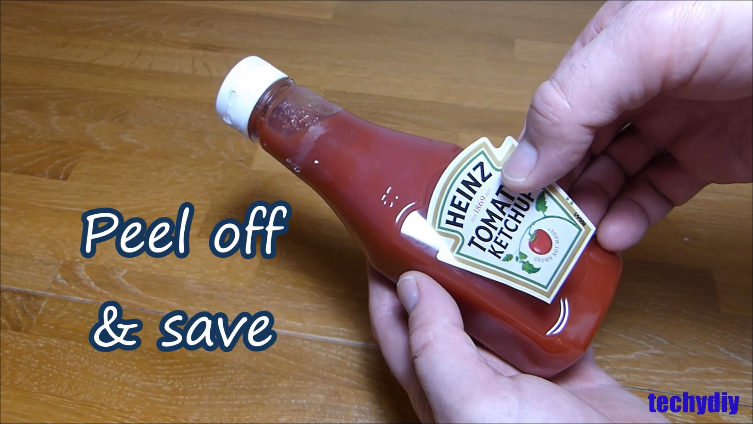 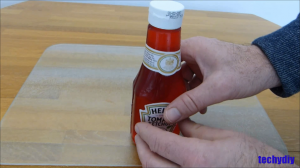 The next step is to cut open the ketchup bottle along its seams, leaving the bottom of the bottle attached. 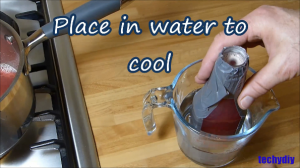 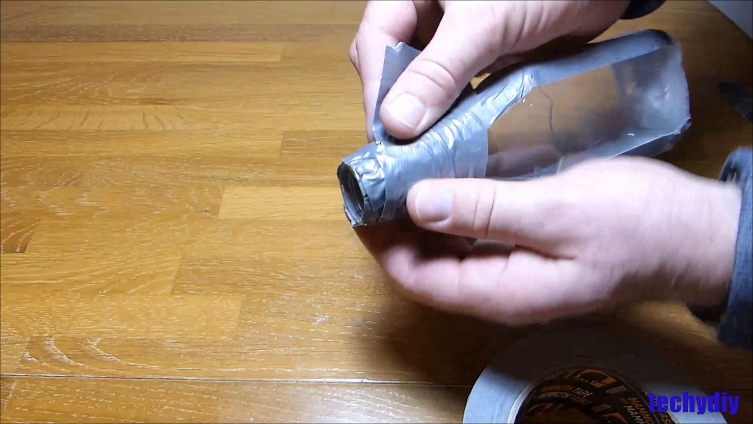 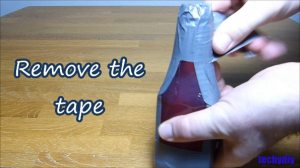 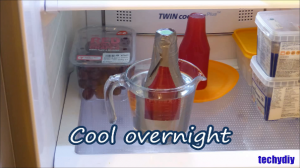 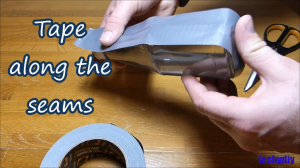 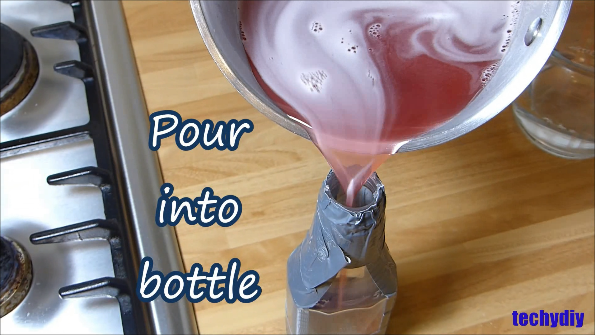 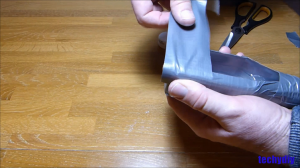 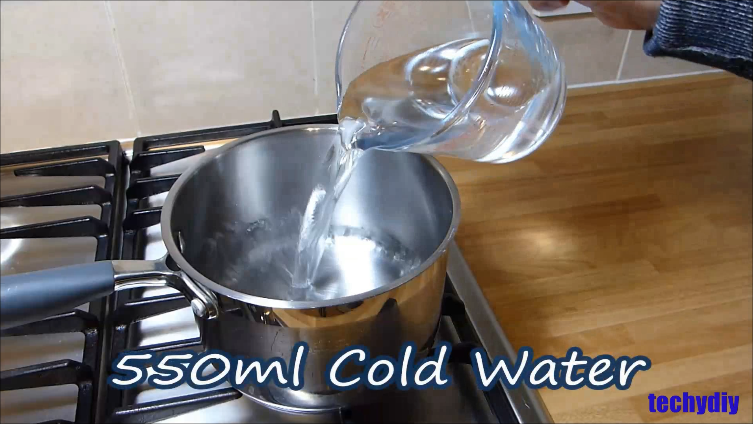 Next temporarily tape the bottle together using waterproof tape. 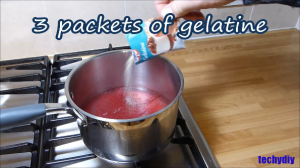 Attach the labels and the lid.